Ramen on Ice - for sure??? Japan is famous for all the unique food combinations which come out for a limited time only. 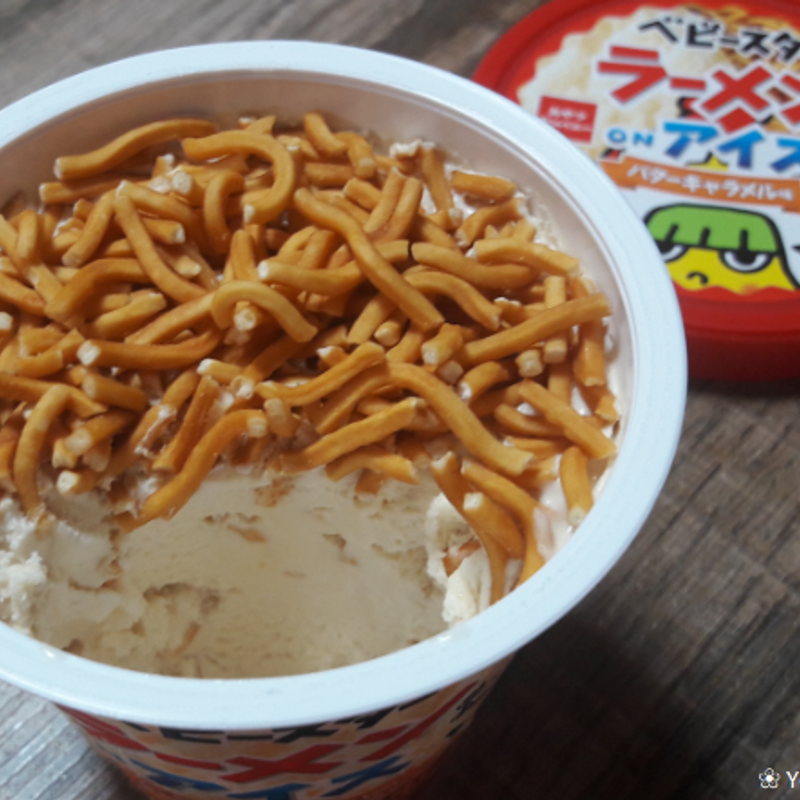 When I tried the strawberry short cake drink a few months ago, I thought there couldn't be anything crazier ... until now when I saw that a cup of ice cream with dried ramen topping was released. Yeah, you are reading that right: ramen on ice cream! So strange that I had to try it myself. Because it is so warm lately and my husband is into ice cream because of this, I bought two cups from a convenience store close by so we could try it together. The cup only fits 100 ml and is pretty small, so this was a good decision. We made it our dessert after dinner. 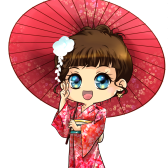 The cup has a cute and colorfum design including the character of Baby Star Ramen. 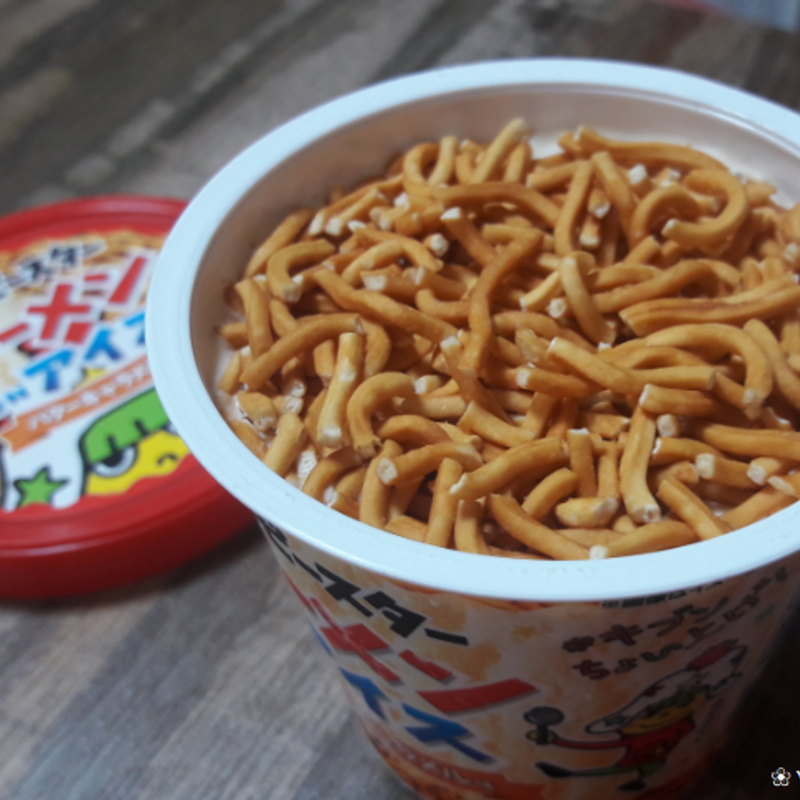 When opening the cup, these are also the first things you see: a lot of dried ramen! The ice is covered beyond them. The baby ramen have a very strong taste which is really nice and I enjoyed it. But how would it be with ice cream? The mix was... strange. I mean, it was not that bad, but I was also not sure if I liked it. However, this was probably not the fault of combining dried ramen with ice. As a fan of crazy combinations I would even think it goes well with vanilla ice cream. But the ice cream taste of the ice here was butter caramel - something I had never tried and now I know I don't like. The ice is not really sweet, going more into a salty corner because it is said to be mixed with some soy sauce. I was strong though and ate everything, still hoping I would get into it. The ramen were yummy anyway. But I decided that this was definately the only cup of ramen on ice I would buy. 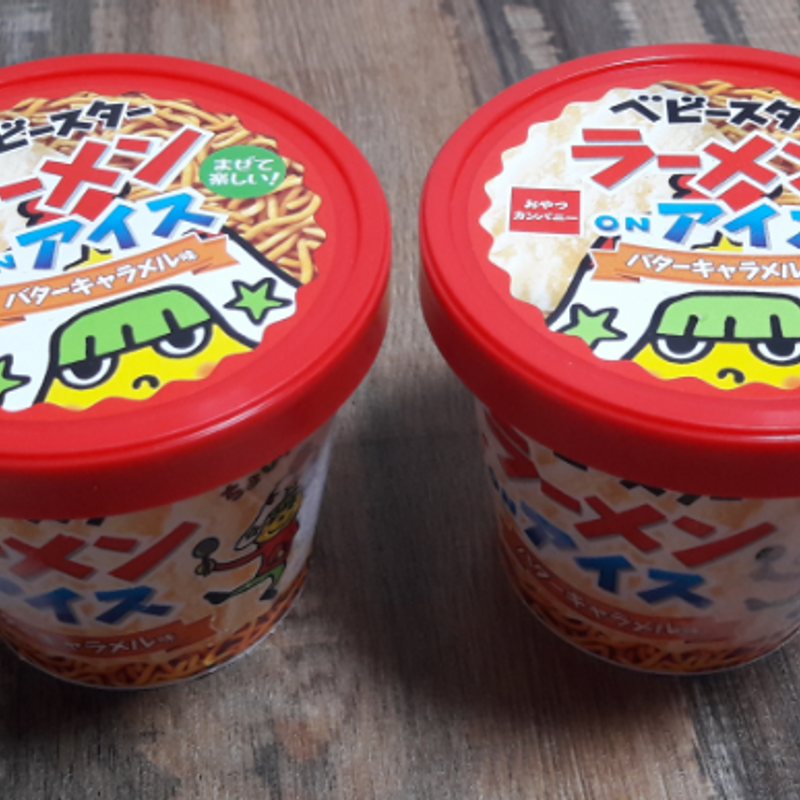 The Baby Star Ramen on Ice was released nation-wide in Japan on May 29th and so far you can only find it at Seven Eleven convenience stores. The price of 219 yen for the tiny cup of ice cream is a little bit high, but still ok if you want to give this unique combination a try. Maybe you can enjoy the combination more than me.